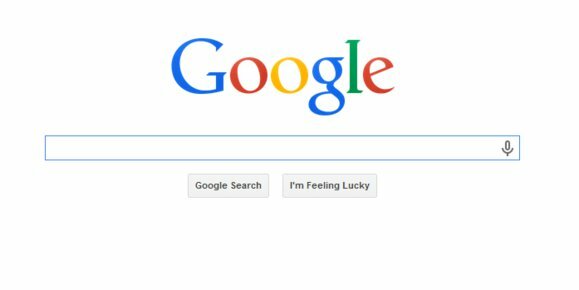 There are many search tricks you can use to get the most out of Google, and one of my favorites is to use Google’s capability to deliver instant answers. These answers appear in a special box at the top of the search results page and are often all you need for basic questions. The thing about Google’s instant answers is that you often have to formulate your search in a certain way to get the answers you’re looking for. You can use these searches to get find your IP address, track flights, find out when the sun will rise tomorrow, and do unit conversions. 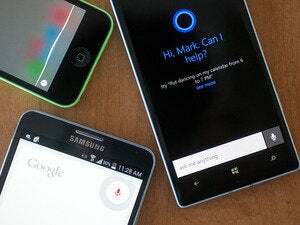 Google isn’t the only search engine to provide instant answers—Bing does it too. 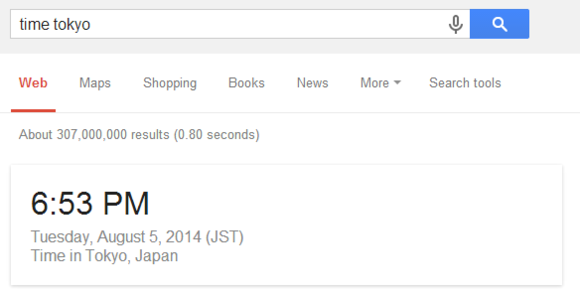 But in my experience, Google is by far the most robust. There are dozens of different instant answers you can get from Google, but here are the five that I find the most useful on a day-to-day basis. If you need to know what time it is somewhere that isn’t your time zone type in time [city/country name] such as time Tokyo, and your results will include the exact time in that location. If you only need to keep tabs on two other time zones, you could also consider stashing extra clocks in your taskbar. Similar to time zones, you can get weather for anywhere in the world by typing in [city name] weather. 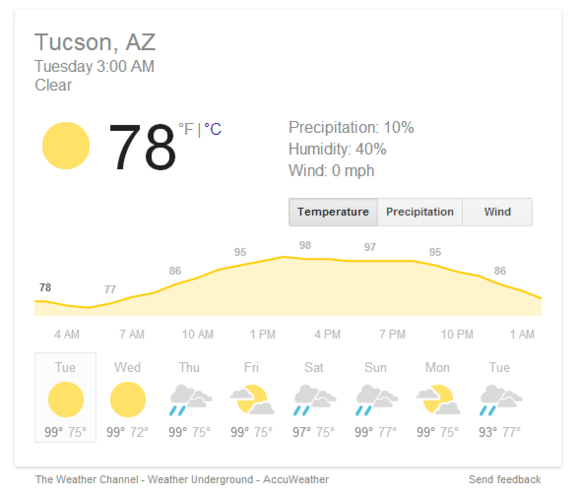 Let’s say you’re headed to Tuscon to visit family this summer and you want to get an idea of how hot it is there type in Tuscon weather and get ready to pack nothing but tank tops. When traveling overseas Google can give you a really good idea of how much your money will be worth when you arrive at your destination. What if you’re headed to Tahiti to soak up some sun, but you have no idea what the local currency is called? 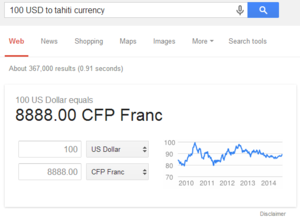 Search Google with 100 USD to/in Tahiti currency and you’ll find out that a Benjamin is worth 8,888 CFP Francs. If you knew the currency of your destination, like Euro for example, you could just type in 100 USD to/in EUR. This search will work with any amount and for any recognized world currency (including Bitcoin). Anyone who ever needs to put words to page has a reliable dictionary in Google. Wondering what “insouciance” means? 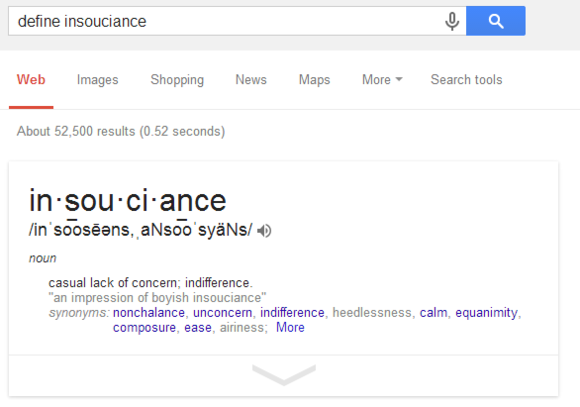 Just type in define insouciance and you’ll get your answer in no time. 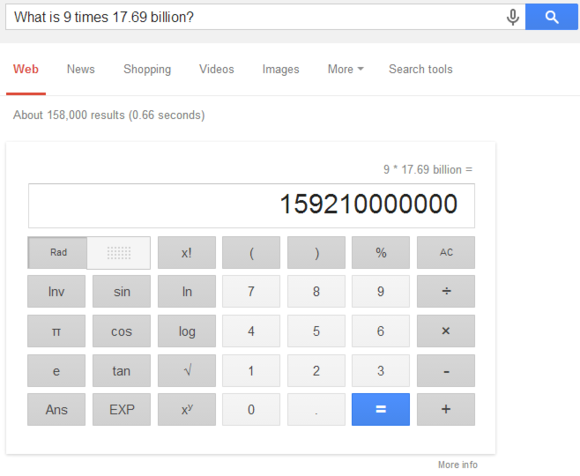 You can’t beat Google when it comes to a quick calculator. You can use your search box to carry out simple mathematical operations like 205*372=76260. You can also form simple sentences to get an instant answer such as What is 1 percent of 3.65 billion? Lazy typists who don’t want to count their zeros can also take advantage of this with questions such as What is 9 times 17.69 billion?